Economic Alliance of Greater Baltimore is holding their 2017 Annual Meeting on December 12, 2017. The meeting will be held at M&T Bank Stadium from 4:30-8pm. 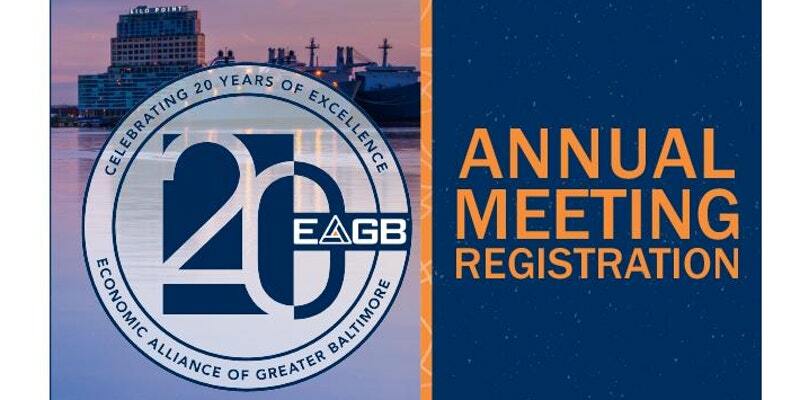 As they celebrate their 20th Anniversary, they will be taking a look back at the success and growth that the region has experienced over the last two decades, while also featuring Greater Baltimore’s future as a global leader. As we celebrate the results of longstanding partnerships that have led to Baltimore’s economic success, we look forward to celebrating the visionaries and leaders who will shape our tomorrow. Join Evergreen and the EAGB by purchasing your tickets now. Evergreen Advisors is a boutique middle market investment bank and corporate advisory firm focused on servicing organizations throughout their financial lifecycles to drive successful outcomes. Serving the Mid-Atlantic region including Maryland, Washington D.C., Virginia, and Pennsylvania, Evergreen Advisors, was formed in 2001 to provide innovative and strategic solutions to meet our clients’ evolving business needs.